Mom's Gone Bronson! : Mohawk Rugs Review AND Giveaway (Up to $100 Value!!) - Ends Oct 10th 2013! 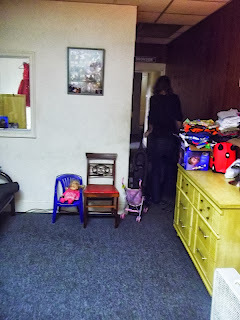 Mohawk Rugs Review AND Giveaway (Up to $100 Value!!) - Ends Oct 10th 2013! It is black with a creamy colored box-line pattern and it measures 8x5 feet to fill up the huge blank space that was once my boring living room!! If you would like to find out more about Mohawk, you can head on over HERE and check out their website for everything from door mats to bathroom rugs and great big area rugs! The prices vary in range but you get what you pay for with quality and they haven't let me down! Mom's Gone Bronson is not responsible for the prize fulfillment, which falls to Mohawk! Prize value to exceed no more than $100. I would love to throw down a rug in our office. 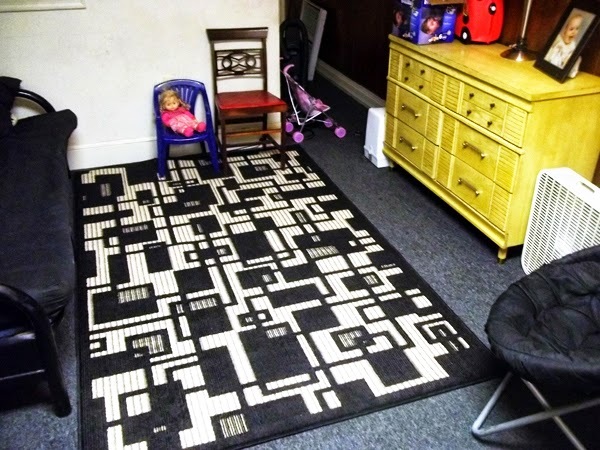 I seriously love that rug, it really does bring it all together!